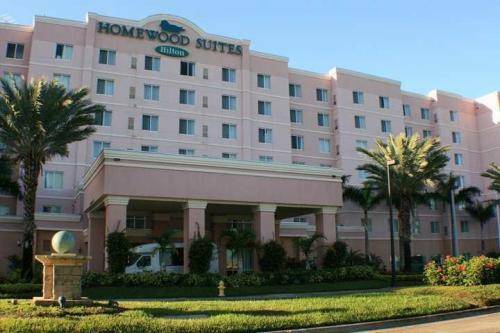 The Homewood Suites is three miles from Miami International Airport. Miami Metrorail, accessible from the airport, ferries guests to key areas of the city. American Airlines Arena, home of the Miami Heat basketball team, is a 15-minute drive away. The Frost Art Museum is also a 15-minute drive. Miami Seaquarium is 20 minutes by car. This all-suite hotel has seven floors and 159 rooms, all with separate living and sleeping areas. Guests relax on either one cushy king-size bed or two double beds in their roomy suites. You can whip up dinner in the full kitchen that includes a stovetop, oven, microwave, refrigerator, dishwasher, cookware and tableware. Suites feature free Wi-Fi, two flat-panel TVs, irons and ironing boards. Hungry guests wake up and dig into scrambled eggs, bacon and more at the free hot breakfast. 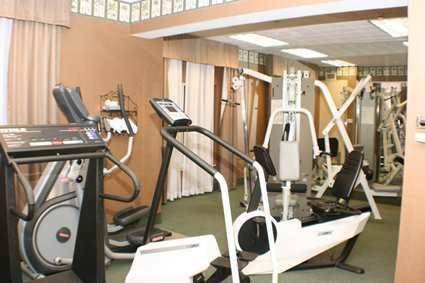 Work off the calories with some cardio in the well-equipped fitness center or some basketball on the sports court. You can refresh yourself with a few laps in the outdoor pool or a soothing soak in the hot tub. Beer, wine and light snacks are complimentary at the weekday manager's receptions. Parking is free, as is shuttle service to the airport and destinations within a two-mile radius. Full kitchens, free morning grub and roomy suites tickle guests' fancies at the Homewood Suites near the airport.